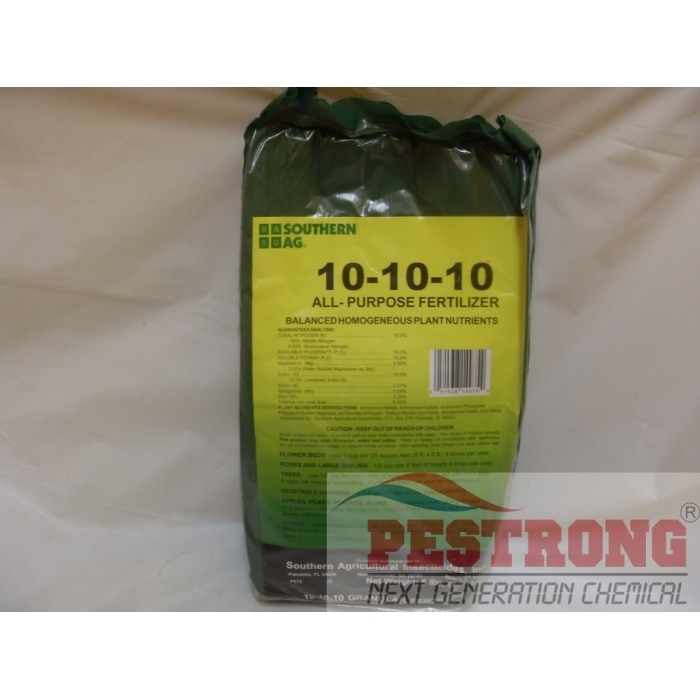 Where to Buy 10-10-10 Fertilizer, 10-10-10 + Minor Fertilizer - 5 - 50 Lb - $12.25 for Sale with Fast Free Shipping! 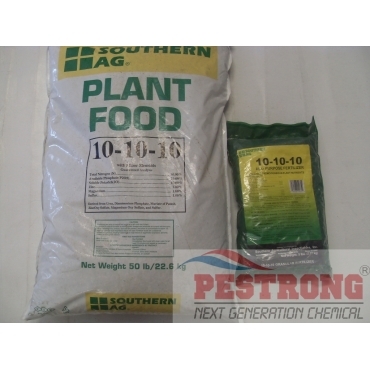 10-10-10 + Minor Fertilizer - 5 - 50 Lb contains 10% Nitrogen, 10% Phosphorous (P2O5), and 10% Potassium(K2O) plus minor elements in a homogeneous granular formulation. Trapper Monitor & Insect Trap - 3 Glue..
MaxAcid 30-10-10 Water Soluble Fertilizer..
10-10-10 + Minor Fertilizer - 5 Lb contains 10% Nitrogen, 10% Phosphorous (P2O5), and 10% Potassium(K2O) plus minor elements in a homogeneous granular formulation. 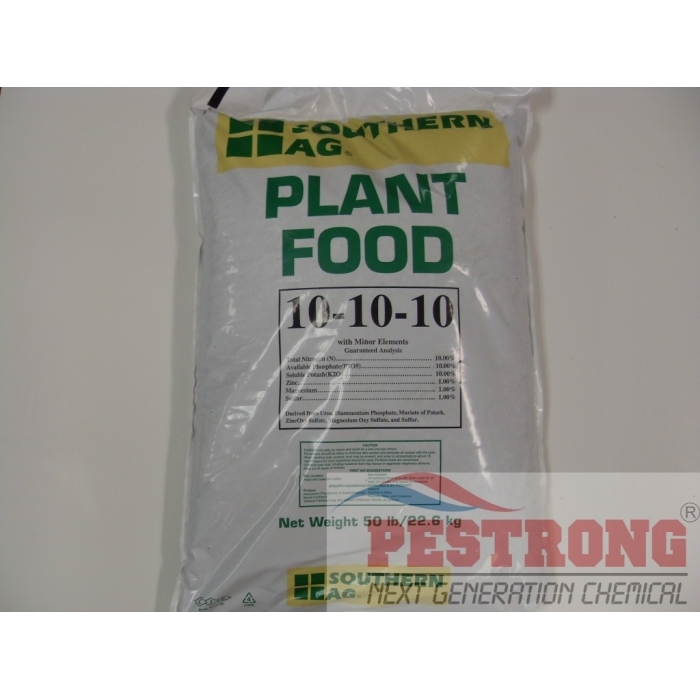 It is excellent for use on vegetable flower and ornamental gardens and provides a quality feeding for lawns trees and shrubs. An ideal starter fertilizer for new lawns. Fruit trees: 2-4 cups per tree. APPLICATION: Broadcast evenly over area and water in. I love working on my small little garden. I'm not an expert gardener or anything and I don't try to be. When this says all purpose, it really is all purpose! I use it on my flower beds and my vegetable patch. I use it anywhere I want to give my plants a boost in nutrients and help them grow.